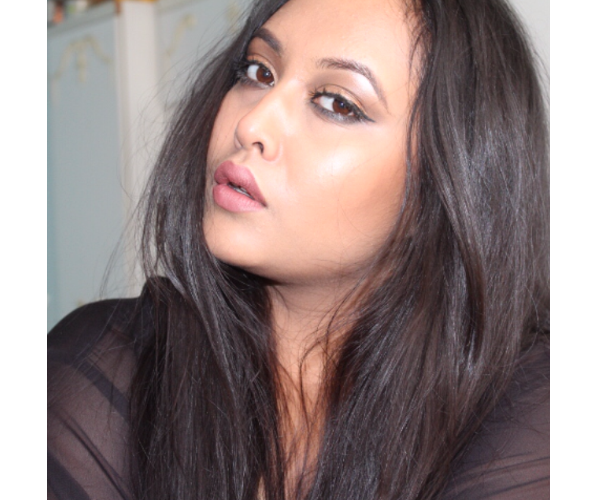 As the days are now getting warmer and longer, I have switched up my makeup to encourage its longevity so it lasts and looks fresh throughout the day. 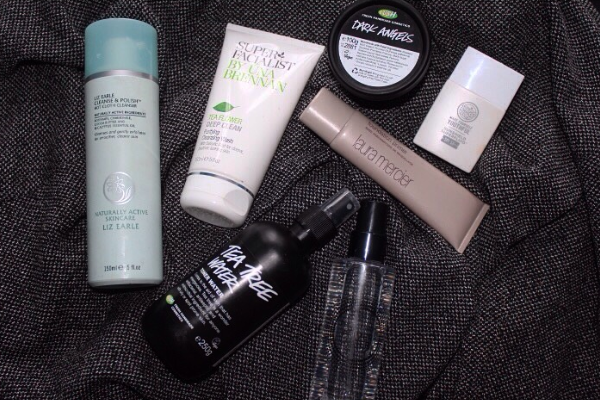 I have combination skin, mostly on the dry side but the odd oily areas. So let me tell you how I create my flawless, sweat proof base. The most important step of makeup application is prepping the skin. Without the perfectly prepped base it's very unlikely for your makeup to sit tight all day let alone look amazing. Prepping the face before makeup application not only encourages your makeup to look good but also protects the skin underneath. 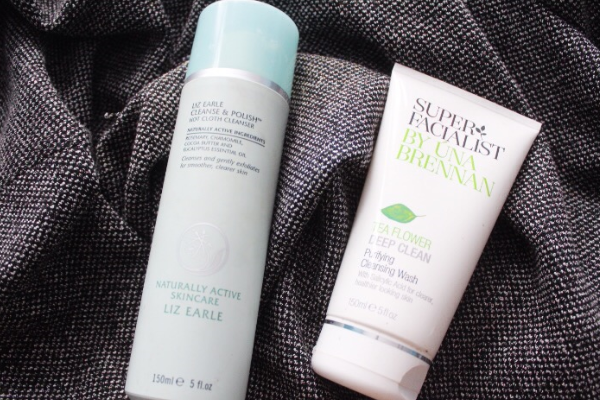 I begin with cleansing my face in the morning using either Liz Earle Hot Cloth Cleanse & Polish or Super Facialist Salicylic Acid Purifying Cleansing Wash- both in which have been reviewed (here) & (here) and they both work great on my skin. It's very important to splash your face with cold water to close your pores after cleansing. 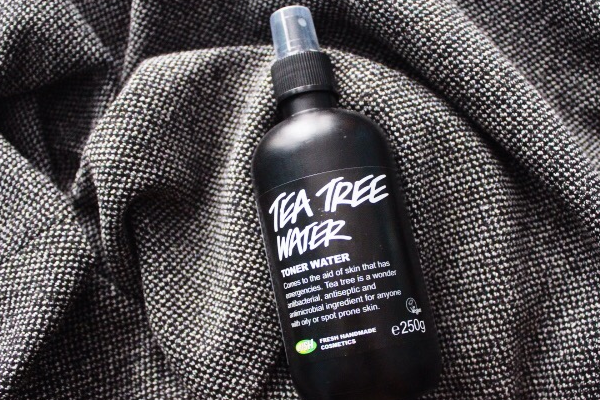 I then use my holy grail Lush Tea Tree Toner Water which has been reviewed (here). This protects the skin from bacteria and controls any excess oils. 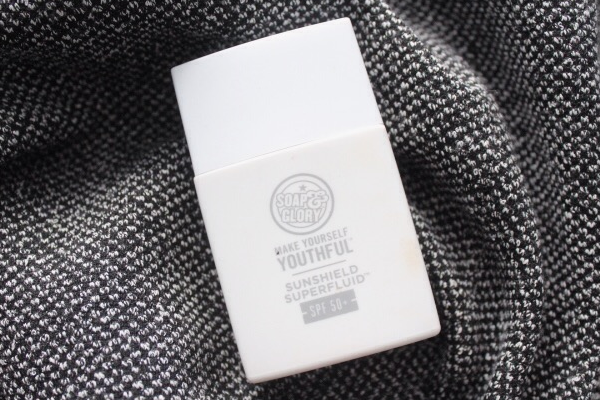 To moisturise, I usually use my Aveeno Daily Moisturising Lotion but recently I've gone back to Soap and Glory Sunshield Superfluid since the sun has been showing its face as it contains SPF. 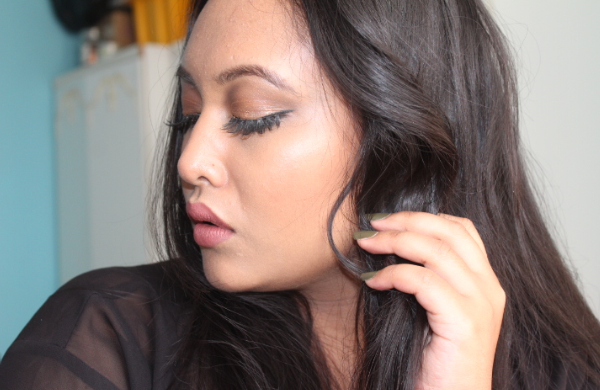 I always thought priming was a useless, extra step in a makeup routine till I began using it religiously. The whole concept of priming is encouraging the longevity of our makeup and for everything to be applied evenly. I've recently been loving the Smashbox Primer Water which is water and primer combined. It really hydrates and primes my skin as well as leaving a radiant finish. 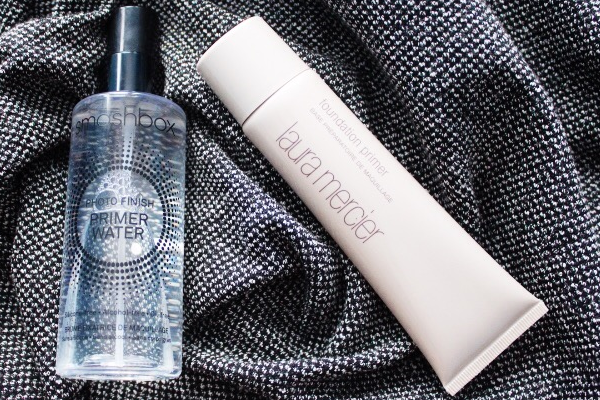 I've also picked up my all time favourite Laura Mercier Foundation Primer which was the first primer I've ever used- it's very similar to the Smashbox primer water but in a gel formula. Leaving a minute or two between your moisturiser and primer and primer and foundation allows it all to sink in and set. Same with foundation, starting off with a light layer and building it up develops higher coverage as well as encourages the longevity of your makeup. 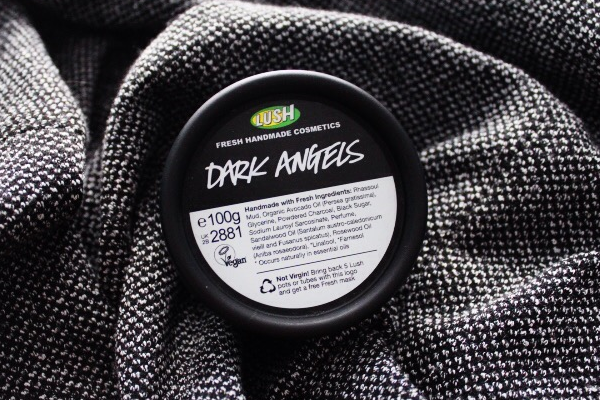 Twice a week I thoroughly exfoliate my skin using Lush Dark Angels Cleanser (reviewed here) which does a fab job of improving the appearance of my skin.